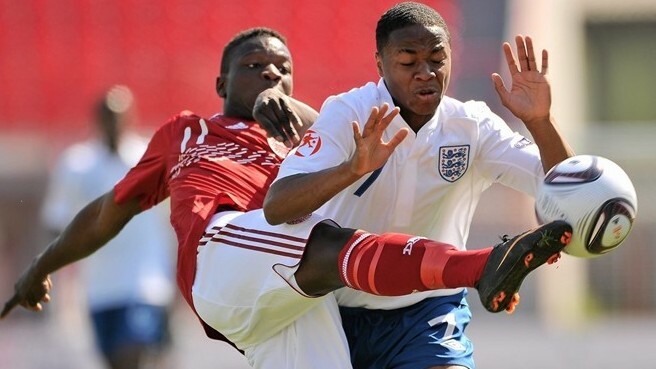 Denmark assured their place in the semi-finals of this year’s European Under 17 Championship thanks to a 2-0 victory over England. Viktor Fischer scored his second goal of the tournament and Kenneth Zohore his first to secure the win for the Danes. England’s hopes of retaining their title have been dealth a huge blow and they now know that they must win against Serbia and Denmark must beat or draw with France. Although Hallam Hope forced a save early on from the Denmark goalkeeper, it was always the opposition that set the tone. Only 13 minutes in, Fischer was allowed too much space and capitalized with a superb finish that whistled into the top corner. After 21 minutes, Denmark found themselves two goals ahead. Kenneth Zohore’s low shot flew past England goalkeeper Jordan Pickford into the back of the net. England became increasingly dominant in possession as the game matured but couldn’t find a way past Thomas Frank’s solid defence and will have to win on Monday to stand any chance of qualifying for the Under 17 World Cup in Mexico, and the semi-finals.